Understanding the four C's of a diamond's quality is important. Where clarity, carat, cut and color are considered, each has provided the precious stone industry with incredibly important pricing markers. Carats are utilized to nominally measure pearls and gemstones. 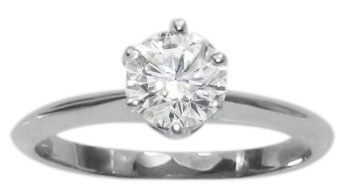 Currently, a carat is often referred to as a “metric carat”. The term was discovered at the Fourth General Conference on Weights and Measures in 1907. 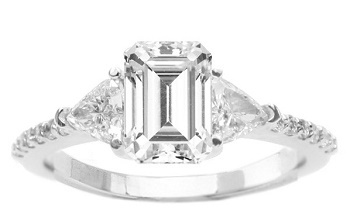 Carats are defined by their incredibly easy divisibility. Carats are divisible into one-hundred-point two-milligram sections. While many other divisions have been used, the carat has been widely popular across the globe for generations. Where diamonds are considered, a 100-carat stone is the epitome of quality. This pureness is called a paragon. Clarity often refers to a diamond’s internal characteristics, and it defines a stone’s visual appearance and overall quality. Clarity imperfections, such as cracks, breaks, or warps, drastically reduce a diamond’s selling value. 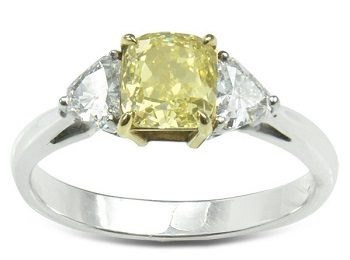 These damages create a clouded clarity within a diamond, making it seem impure, damaged and of reduced value. A diamond’s clarity is affected by its makeup’s inclusions, location, color, size and orientation. Clarity grades are based upon the diamond’s overall appearance when examined beneath 10 times magnification. Richard T Liddicoat, Joe Phillips, Marquis Person, Bert Krashes, and Robert Crowningshield focused upon diamond grading systems in 1952. In 1953, they defined clarity as a defining attribute, alongside color and make. While several alterations—mostly due to impracticality of measuring requirements—were made, the term clarity has served the precious stone industry for years. Diamond cuts have existed since the Middle Ages. The first technical improvements were delivered through octahedral crystal face polishing. During the mid-15th century, these small alterations were increased steadily, improving a diamond’s worth along the way. The cut, itself, is used as a major diamond design guideline. Symmetry is incredibly valuable within the precious stone industry, and poorly-cut stones are often overshadowed by those with good cuts. Diamond cuts are created through symmetrical facet arrangements. Together, these arrangements modify the crystal’s overall appearance and shape. As innovation continues to evolve with technology such as laser cutting, complex cuts have emerged—further increasing a stone’s value. Structurally perfect and chemically pure diamonds are normally clear to human eyes. This lack of color and hue greatly increases a diamond’s quality, and is often affected by structural defects and chemical impurities. Depending upon a stone’s coloration intensity and hue, it can either increase or decrease value. While many white diamonds are available at reduced prices when riveted with yellowish hues, pink and blue diamonds may be incredibly valuable. Early diamond grades were included within early diamond trades. Due to the system’s lack of co-operative development, these early systems often lacked consistency. Many award coloration as the precious stone industry’s “first grading scale”, as the diamond trade first utilized coloration to identify and price diamonds.